One-line sales are now closed for this event. The 7pm show is sold-out. The 9:30pm show only has a couple tickets remaining and they will be available at the door. We are so excited to share some of Winnipeg’s funniest women! Join us for the early show or the racier late night performance. Come for the laughs and support life-changing theatre at the same time. Last year was a sell-out event and we had people packed to the rafters. This year with two performances we will be limiting seating for a better experience. Be sure to get your tickets early! *The 7pm performance is now sold-out, be sure to get your tickets for the 9:30pm show before they are gone! Dana Smith is a Winnipeg comedian who regularly performs stand-up and sketch comedy across North America. She runs the very successful Women’s Open Mic Comedy show at Wee Johnny’s Irish Pub on the first Friday of every month. This show has been regularly featured in CBC’s ‘Top 5 Things to Do in Winnipeg’. It has also sparked a vibrant community of women who do stand-up comedy in Winnipeg. She has been featured in JFL Northwest (Vancouver), ODDBLOCK Comedy Festival, and the Winnipeg Comedy Festival. Recently, Dana opened for comedians Mark Forward (Park Theatre) & Iliza Shlezinger (Regent Casino). In the past year, Dana and her sketch group H.U.N.K.S. have performed in Montreal, Seattle, San Francisco, Chicago, Edmonton, and sold out shows in Vancouver and Toronto. Last year their Winnipeg Fringe show garnered a 5 STAR review from the Winnipeg Free Press and a 4 STAR review from the CBC. Carole Cunningham has been performing since 2015 and is a regular at Women’s Open Mic. In addition to touring across Canada, Carole has performed in the Winnipeg Comedy Festival 2016 and 2017, has opened for national comedic treasures John Wing, Mike MacDonald and Erica Sigurdson, and has produced several shows including Token 2016. A regular host at Crickets Comedy Club, Carole’s dry and observational humour addresses marriage, children, and navigating life as a woman over thirty-five. Danielle Kayahara is a benevolent cat owner and relative newcomer to the Winnipeg comedy scene. Fuelled by equal parts anxiety and caffeine, she remains convinced that the former has nothing to do with the latte. Danielle is extremely excited to have the opportunity to bring her unique blend of storytelling and silliness to the stage in support of a worthy cause. Lara Rae is a thirty-year veteran of stand-up. She is the A.D of the Winnipeg Comedy Festival and was the first trans woman to host the CBC national program, The Current. She lives in West Broadway with her two rats, Frida and Nina, named after two awesome role models. Anjali Sandhu is a Winnipeg-based comedian, actor and writer. She performed stand-up at the SheDot comedy festival in Toronto. She also performed in Sirius XM’s Next Top Comic and The Park Theatre’s “Empow(her)ment”. Anjali was a writer/adapter of The Trump Card (★★★★ – CBC, WFP), which she performed with District Theatre Collective at the 2017 Winnipeg Fringe. She has appeared in the films My Friend Red and DitchPeople. Anjali is currently working on her first solo stand-up show, “I’m Not Taylor Swift”. You can follow Anjali on Instagram/Twitter (@AnjaliXIII) or Facebook (www.facebook.com/anjalicomedy). Kate Schellenberg is originally from the East Coast. She got tired of the mild winters, cheap lobster, and being near the ocean, so she packed her bags and headed to Manitoba. A relative newcomer to the Winnipeg comedy scene, her honest and self-deprecating style has made her a favorite with local crowds. So far this year Kate has performed at the Winnipeg Comedy Festival, Oddblock Comedy Festival, and Rumors Comedy Club. Florence Spence is a stand-up comedian from York Factory Cree Nation. Raised in both Winnipeg and the reserve, she has been able to translate the hardships of growing up with seven brothers, being a single parent of three and now a grandmother, into comedy gold. With almost no Aboriginal women comics to look up too, Florence has broken down barriers across Manitoba. She was recently featured in the Winnipeg Comedy Festival and Oddblock Comedy Festival. Her raw-and-real material combined with her witty observations and captivating stage presence assures Florence will become your next favorite comedian. 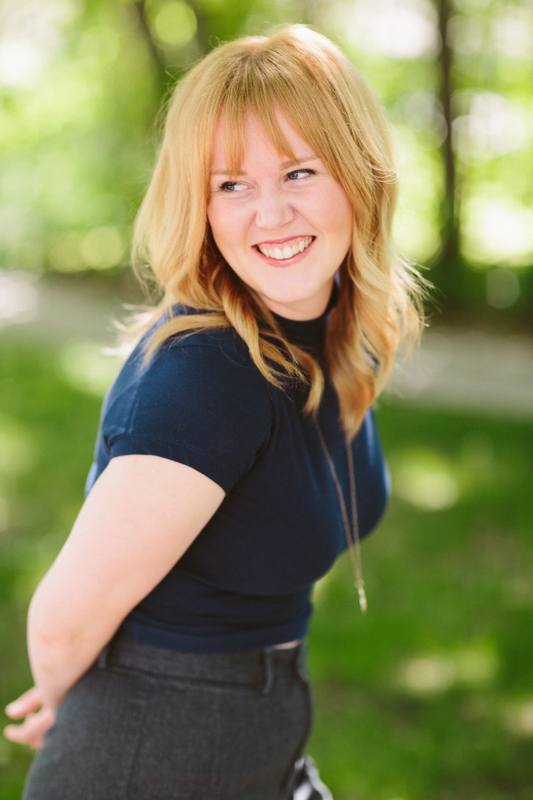 Heather Witherden is also known as “Winnipeg’s Favourite Wisecracking Mom”. From the north end of Main Street, Heather got married, had three kids, and started writing jokes in the baby book to amuse herself. She graduated to writing jokes in the Christmas letter, then writing jokes in chat rooms on the internet, until she finally got onstage with her jokes in 2006. Since then, she’s appeared at Rumors Comedy Club, The Winnipeg Comedy Festival, CBC Radio’s Definitely Not the Opera, and So You Think You’re Funny. She has hosted the Winnipeg International Burlesque Festival since its inception in 2016 and takes great pride in having three kids and two-piece bathing suits.